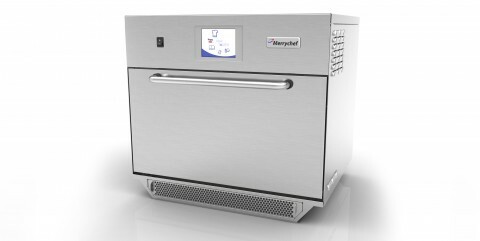 Packed with a wide range of features, the Merrychef Eikon E5 Microwave Combination Oven is perfectly suited for busy environments, like larger restaurants and snack bars, pubs, bars, caterers, hotels, canteens or food counters, where quality and precision are a must. As well as having a 1400W Output, this commercial microwave also features a microwave combination mode, which allows cooking times to be reduced by up to 5 times. Other features are built specifically for convenience and ease of use, such as a USB memory stick, which allows for the easy import of data; meaning up to 1024 cooking programs can be stored. The exterior of the door has been specifically designed to be cool to the touch, reducing the risk of accidents or injury in busy kitchens, while it’s easy to clean interior and in-built diagnostic testing ensure that minimal time needs to be expended on maintenance.